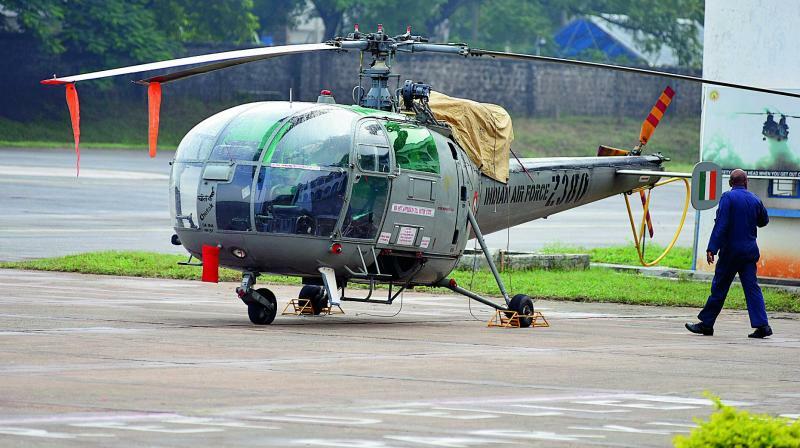 Chetak helicopters are there in Hakimpet station, of which, one was recently used in mock rescue ops. Hyderabad: The Indian Air Force’s most widely used helicopter for training, light utility and light attack roles is the HAL-made Chetak. A slightly-modified version of the French Aerospatiale Alouette III of 1959 design, Chetaks numbered a good 300 at their peak. Not known to many, the IAF station at Hakimpet houses Asia’s largest helicopter training school. It is the biggest in terms of infrastructure, number of training helicopters and cadets that pass out every six months. So far, six women have qualified as helicopter flying instructors, apart from hundreds of men, from this training ground.